1) This will be a quite SHORT article, less than half an hour to write, and you may read it in 3 minutes. 2) It refers to links, but it may work for your Facebook wall (personal and your entreprise’s Facebook page! ), may work for your general content of your site, may work for your facebook wall, and may work for things outside internet. You name it. You’re smart enough to find it. 3) This works as a disclaimer, for the lack of external links on my page. If you find any, then you’ll know for sure, that I THINK it is something worthy, and it can be worthy. So, you are going to include a external link on your site right? It doesn’t matter its content, the site, your visitors, YOU think it’s important. Think about your credibility as your arms (or your eyes). Assumption: you’re not blind, have both eyes, and both arms. Otherwise, you’ll be cheating. Here’s the deal. Per each visitor, if link makes him/her happy. Point for you! Other wise, you lose an arm. Do that again, with a poor link. You lose your other arm. No arms left, You’ve lost credibility. Ok, and I’m almost finishing. Yes, really! From now on, you maybe, MAYBE, think twice about sharing your son’s website that he created for school. Does your users need to receive that link? or is it only YOU needing to share the link? Think about the FACE of the visitor, always think about that. Because your son’s site, may be beautiful for you, but it may not have any sense, and the design may be crappy. And you may be losing a lot of readers, for making them losing 5 minutes, and they are going to claim you to return those 5 minutes! If you add a link, make your users come back for some more. 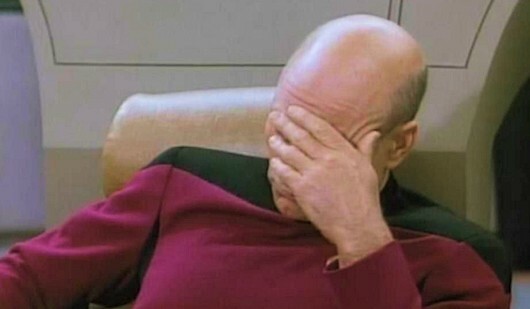 Do not generate a user’s EPIC facepalm! Think about your users, otherwise, you’ll have a bad time. Friendly advice! Is it a good idea to be the best in your field?